How long will my bear take? 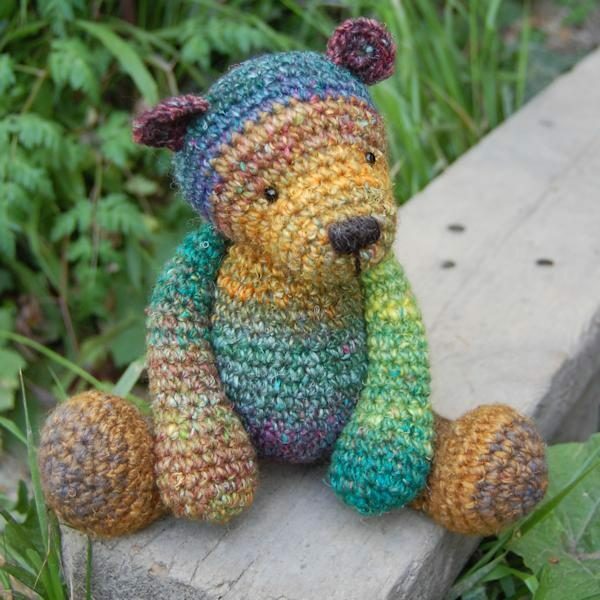 One-of-a-kind (OOAK) bears that are not marked sold are available immediately. 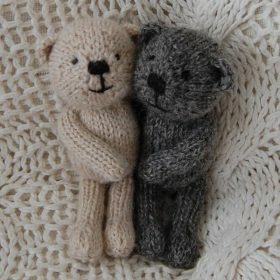 Antique and vintage bears are available immediately. Teddy bear jumpers are available immediately. All other bears have a current lead time of approximately 2 weeks. 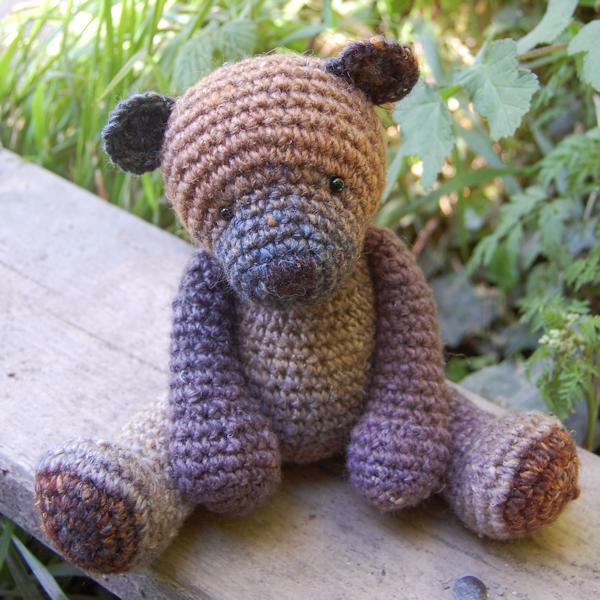 Please contact me if you require your bear urgently. The lead time for wool varies from breed to breed - please contact me for further information. Ask a question about me! 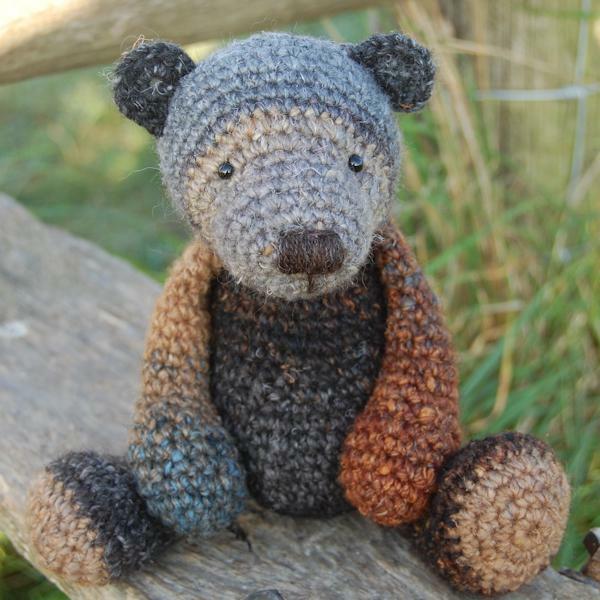 Arthur has been hand crocheted using warm brown and green tones of our bespoke hand dyed yarn. 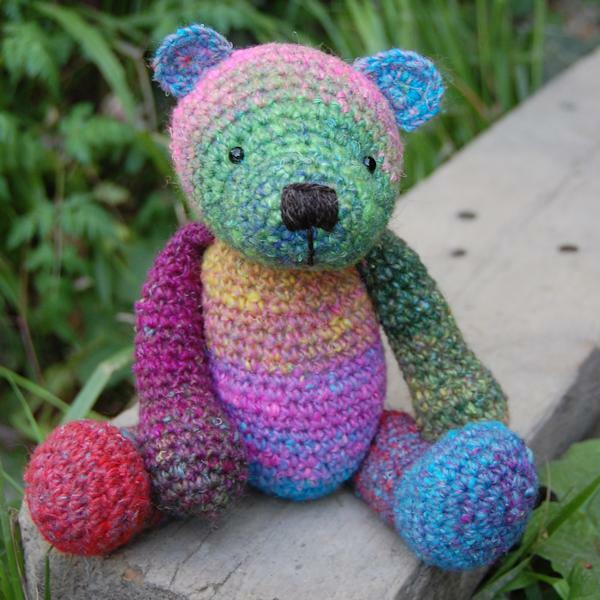 These very special one-of-a-kind bears are crocheted from bespoke hand dyed yarns, so, no two bears are ever alike. 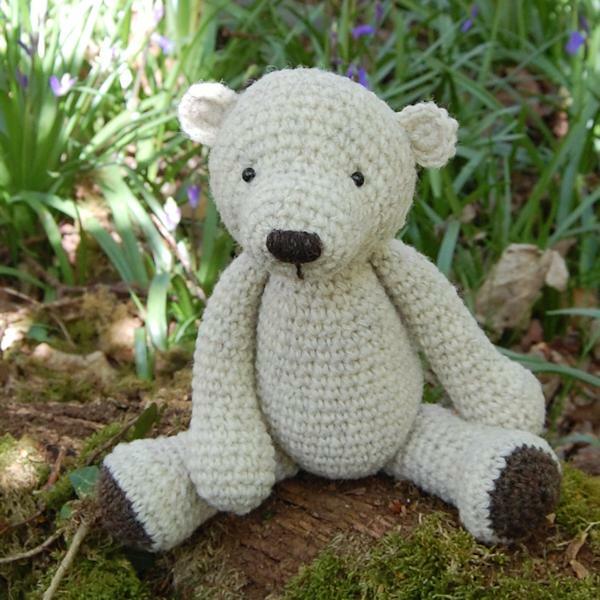 Using natural vegetable dyes where possible (avoiding the use of harsh chemicals) and spinning a mix of our white rare breed wool, pure cotton and a little silk ensures a distinct and unique coloration for every single bear. 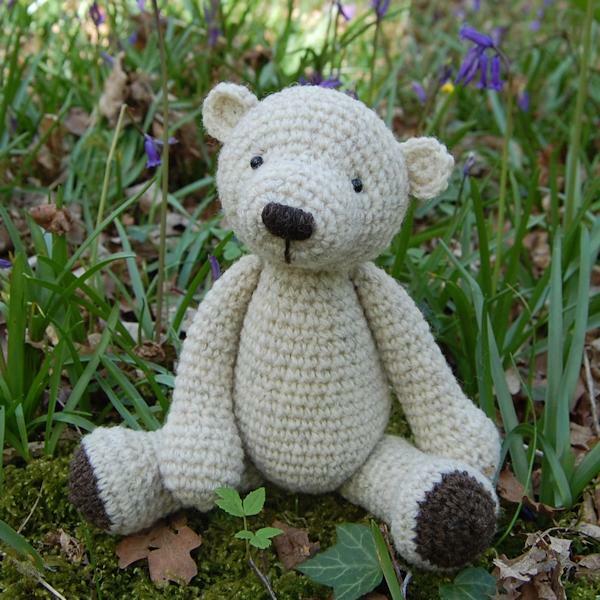 Each teddy bear is then hand crocheted using our own design and their cute expressions created with hand made glass eyes and carefully embroidered wool noses. 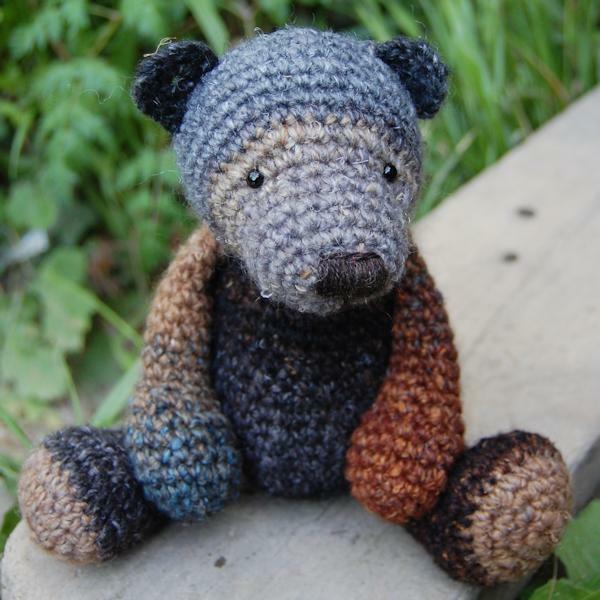 Just enough wool is dyed and spun to create each bear ensuring that no two bears will ever have the same colour combination, making each one totally unique. 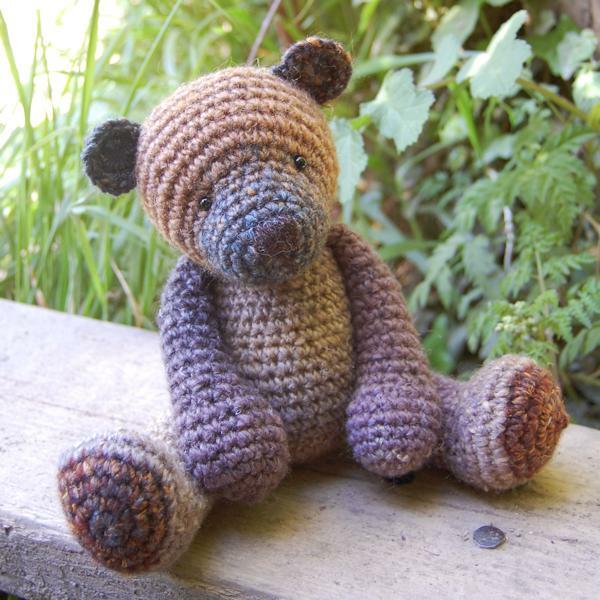 This little bear is a one-of-a-kind creation.